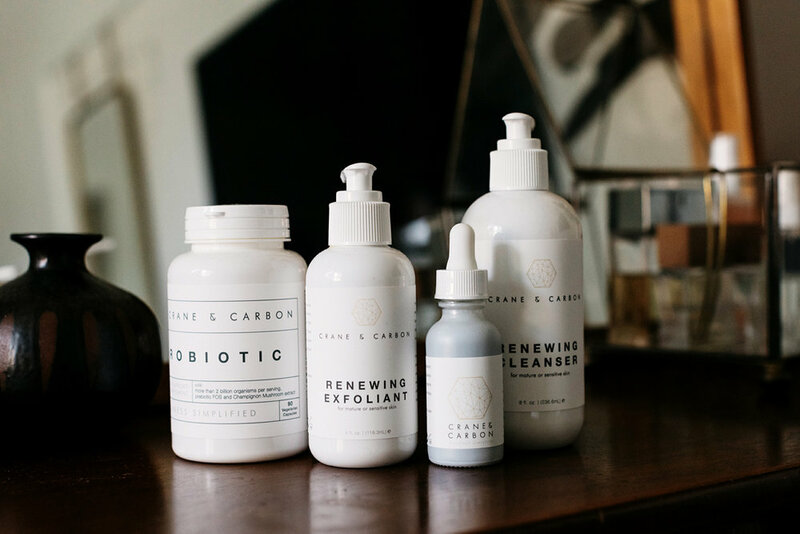 Crane and Carbon are carbon-based and plant-based products. The skincare product smells amazing and feels so good on your skin! I always love a good probiotic to keep healthy! I am excited to continue to use this product and can't wait to see what else Jayson creates! Also lets just talk about this packaging! It's simply beautiful! 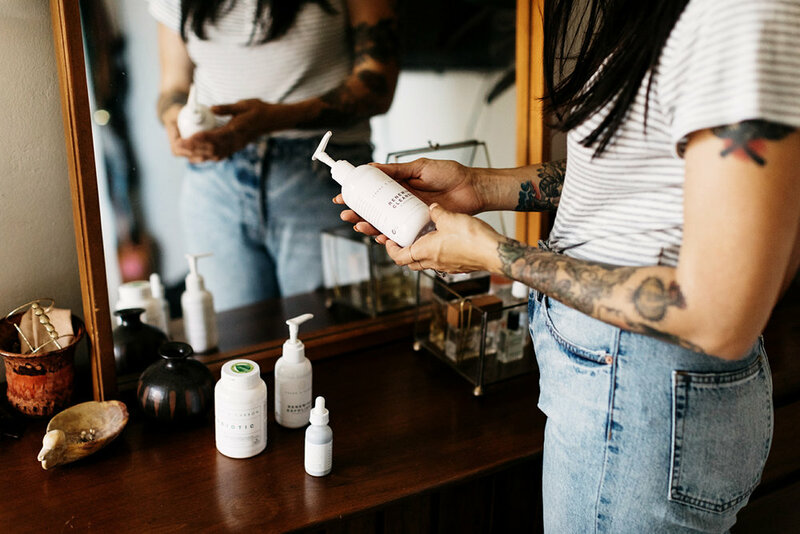 I love the intention behind creating healthy products for our bodies and also creating product that looks good to the eye too! I wanted to share more about Jayson and his heart behind what he has created and what he is working on as well, so we asked him a few questions! Where did you come up with your brand name? 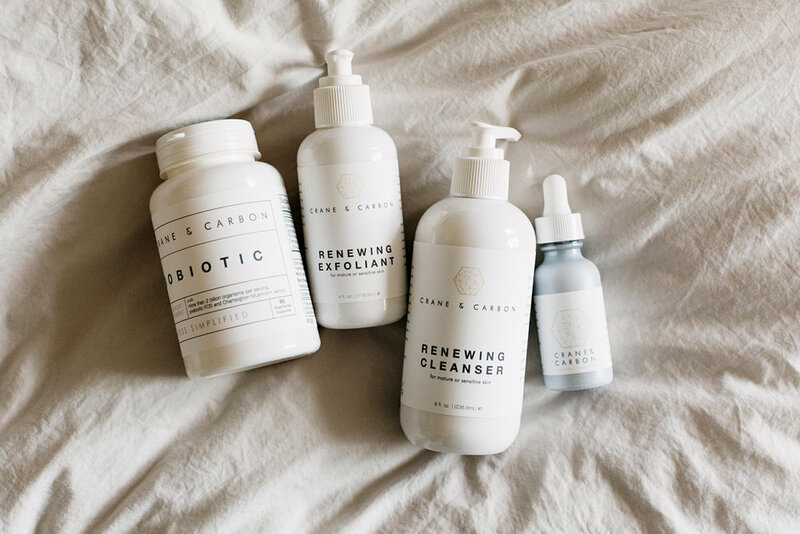 I decided on Carbon paired with my last name because the products are carbon-based, from the nutrients of the supplements to the plant-based ingredients of the skincare products. I gained an incredible about of knowledge from earning a degree in Human Nutrition that I believe everyone can benefit from. I have a solid understanding of the biochemistry of nutrition and how it affects health and wellness. Most of what I studied is not well known and it should be. My mission is to transfer as much of what I know about Nutrition and Wellness to as many people as possible. I'd love for everyone to know the depth of how their overall wellness is determined by what comes in contact with their bodies. Educate people about health and wellness while providing products that allow them to make proactive decisions. Before creating Crane & Carbon, balancing life and work was easy because the two were clearly different - my life was not my work and vice versa. Now that my life is more about my work, it's a bigger challenge to maintain balance. Interestingly, though, I am more aware of an imbalance because my creativity stops flowing when I've been working too much. What do you dream for your company? I dream that Crane & Carbon continues to grow as a trusted source for safe, effective, valuable products and understandable wellness education. If you could wish one thing for your customers what would you wish be? I wish that my customers had the ability to be highly in-tune with themselves. To pay attention to how the body, mind and spirit are in constant communication and to use that information to maintain balance and wellness. I come up with new products based on conversations with my customers. I allow the product line to be organically developed based on their needs. For example, I had an email conversation with a person looking for a natural way to promote sleep - so I added Magnesium to the supplement line. Or through a conversation I had with someone about acne came the Renewing Moisturizing Oil. I allow my personal need to be included in this product development. I've recently become more interested in exercise and so I've been developing products specific to the promotion of fitness. 😃 Stay tuned! If there is one thing you would want new customers to know what would it be? Your health is almost completely determined by your vitamin and mineral status. These micro and trace nutrients are the difference between systems of your body, like immunity or cardiovascular, working for you or against you. Because of this, it's important to know what causes deficiencies in these nutrients. It can be poor nutrition just as much as exposure to toxic chemicals that come in contact with your skin.